The Behtar India Campaign has been a long 8-month journey, focusing on the three main aspects - Health, Hygiene, and Environment with recycling as its central theme. This journey has finally reached its end, The Grand Finale. 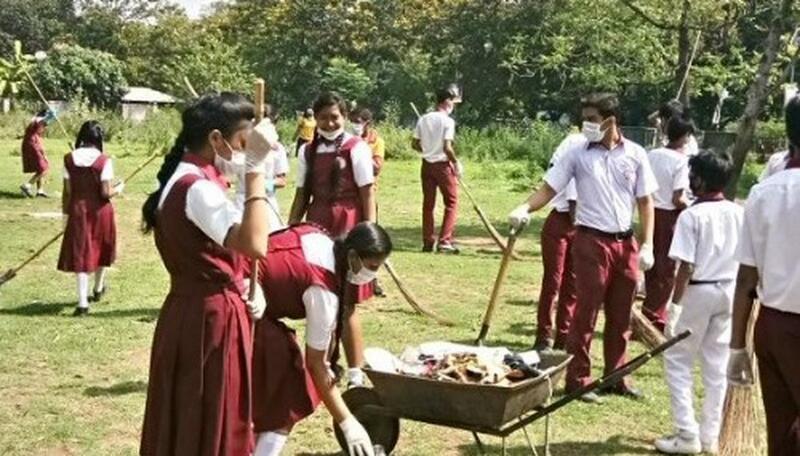 This campaign is the biggest inter-school competition based on environmental causes where people from different segments of the society come together to work towards making their cities cleaner, greener and healthier. The students were the main drivers and contributors to this campaign who were constantly motivated and inspired by the school Principals and other authorities. They believe that sustainable development is a pathway to a healthy future and in this endeavor, the Behtar India campaign has partnered with them for the past two years and it has been a wonderful journey in inculcating sustainable development goals in the children of their school. They also believe that this journey is still going on, where they teach their children about how to reduce, reuse and recycle resources. They also claimed that they are very proud to be associated with this campaign. The school, the students and the parents showed a lot of support and wanted to help even more. They hoped that this campaign becomes a perennial exercise which does not only go on for a few months and then end, rather they expect this to become a habit for all people within the school and outside and thereby create a cultural and behavioral shift that makes people more mindful of their regular activities affecting the environment. They have seen wonderful changes that have taken place in the school. Children have been able to understand that they need to save paper, energy and recycle paper. 81 cubic yards of landfill space. Through Behtar India, students have managed to recycle 8,07,452 KGS of paper waste resulting in creation of 8 times this impact. The Principals and concerned authorities at the participating schools have been the major facilitators in the success of this campaign. They have not only acted as a contact point between the students and DHFL Pramerica but have also been whole-heartedly involved in motivating their students. They have been a constant support to students which evidently shows in the performance of the schools that in turn, led to an impact of 8,00,000 KGS of paper being recycled. This campaign is a contest for schools and students, a CSR activity for the employees, a social service for individuals, an amplification tool for the municipal corporations and for the under-privileged children, it is an opportunity to receive free health benefits. It is an overall upliftment of the society that comes together to discuss and make possible, a Behtar India. The Behtar India Campaign is an initiative that aims at bringing together schools, students, corporates and citizens towards discussing the problems and solutions with an aim to build a sustainable environment and future. The objective is to catalyze progressive action towards a sustainable India, a Behtar India, through work in the fields of health, environment, and hygiene.